Have you ever felt discouraged by the midstream clutter you create while organizing and decluttering? This midstream mess can be frustrating, but it’s often a good sign you’re heading in the right direction. Next time you organize, use these five tips to help you stay motivated and minimize the midstream mess. Tip #1: Start by decluttering. If it has been a while since you’ve decluttered your home, begin with a few sessions of what I like to call “grab and dash decluttering.” Your goal is to search your home for items you no longer use, need, or love that you’re ready to let go of. Find the easy stuff by evaluating items out on flat surfaces, and behind closed doors. Drop anything you know you’re ready to part with into a donation bag or trash bag. By getting rid of the easy stuff before organizing, you’ll create extra space and have fewer items to deal with (and less mess) when it comes time to organize. 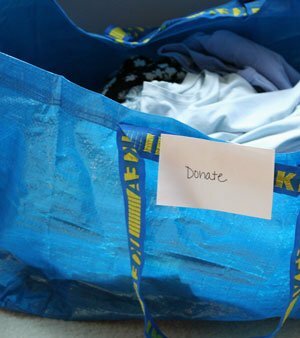 Tip #2: Donate items quickly. Once you’ve made the decision to part with items, drop them off at the donation center as soon as possible. This will minimize the midstream mess and you’ll feel a greater sense of accomplishment for your decluttering efforts. Tip #3: Create a transitional area. 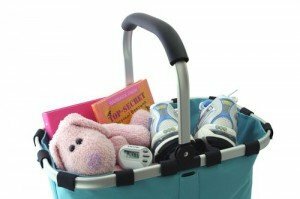 Designate a holding spot for items you uncover while decluttering that don’t yet have a dedicated spot. Clear out a shelf in a storage area or empty a storage bin to use for this purpose. At the end of your decluttering session, move items without a home to this transitional area. Then, before starting any new organizing project, check your transitional area for items you’d like to move into the space you’re organizing. Tip #4: Work on one small area at a time. Instead of organizing the entire kitchen, focus on one shelf, drawer or cabinet. By moving fewer items around, you’ll minimize the mess and feel less overwhelmed by the organizing process. Tip #5: Remind yourself that the “mess” is progress in disguise. As counterintuitive as it is, the mess you create in the process of organizing and decluttering is actually a sign of progress. Remembering this can change how you feel about the midstream clutter, flipping your feelings from discouragement to encouragement when you know you’re headed in the right direction. Does the midstream mess while organizing frustrate you? What techniques do you use to minimize the mess or keeping going despite it? Thanks for joining the conversation. P.S. This tips was prompted by a conversation on our Facebook page. Be sure to Like our Facebook page to join the conversation and get daily organizing tips. Thank you for the free ebook, tutorial. I am so far behind I would be lost if there was no light at the end of the tunnel. Keep the good stuff coming! Glad it is helping. Thanks for letting me know!